Gor Mahia vice chairman Faiz Ochieng has responded to the earlier complaint by Kakamega Homeboyz chairman Mr. Cleophas Shimanyula over what he termed illegal approach of Haron Shakava by saying the Kenyan Premier League (KPL) champions will follow the right channel to sign him once he gets the technical team’s approval. The matter is threatening to strain the two clubs’ relations after Shimanyula claimed the earlier signing of Paul Odhiambo was as well not subjected to the due process but speaking on the Shakava issue, Faiz says the Kakamega side should not be bent on denying the player a chance to stay in the top flight following the club’s relegation. -We know the rules and we will follow due process when the technical team tells us this is the player they want so people should stop complaining. It has happened to us too before that a player wants to leave but the club still needs him and to Homeboyz this is a case that we should agree to disagree. -It is not like we are fighting with Homeboyz for the boy because first, if there is a move it will be for the player’s interest and secondly Homeboyz are not in the league so we are not in competition with them. The player is too talented to be playing in the second tier and we are trying to offer him a chance, which I believe Homeboyz should be happy at, he told futaa.com. -We have seen players move to other clubs in this transfer period; why is it that when Gor Mahia makes a move everyone is complaining? He wondered. Shimanyula was particularly angered by the fact that Shakava was fielded as Gor Mahia played Western Stima in a friendly match in Kisumu on Saturday 28 December. Speaking to futaa.com, an infuriated Shimanyula said Rachier, a renowned lawyer should know better and added that it is not the first time Gor Mahia is doing that to Homeboyz, pointing to the earlier transfer of Paul Odhiambo to the KPL champs. -Gor Mahia has once again gone against the rules in their approach of Shakava. This player is under contract with us up to 2018 but even without approaching us, Gor Mahia went on to use him in their friendly match on Saturday. -This is not we expect from someone like Rachier, a senior lawyer as well as the KPL chairman. They did this with Paul Odhiambo and we forgave them but this time round we want the KPL and FKF to take stern action because rules regarding player transfers are very clear. On the player, Shimanyula said he faces punishment at club level once the team resumes training. -What he did was a breach of contract; it was contrary to what he signed to abide by and, yes, he will be punished. We are very clear on that in the player contracts and as for him once we resume he will be reprimanded, he said. In the said friendly match, Gor Mahia won by a goal courtesy of former Homeboyz player Paul Odhiambo. NKANA skipper Sydney Kalume has urged midfielder Julius Situmbeko to consider joining Kenyan Premier League champions Gor Mahia because they promised him a good deal. The Kenyan side has threatened to report Situmbeko to FIFA because the player failed to report at the club by December 27 as agreed in the contract. Kalume and Situmbeko shared a room during the Zambia national soccer team’ outing to the Council of East and Central Africa Football Associations (CECAFA) Senior Challenge Cup in Kenya. Kalume also refuted claims that he was a witness when Situmbeko was signing the contract. He, however, admitted that he was aware that Situmbeko got undisclosed amount of money from an official from Gor Mahia. Kalume alleged that Situmbeko asked for boots from Gor’s manager in his presence. “It happened that Situmbeko came with a piece of paper to our room which was indicating that the club had given him some money as he already signed on it. He also confirmed getting the money which I knew was for the same boots and I also signed as a witness,” Kalume said. Gor Mahia were also interested in Kalume but he could not take the offer because he has a contract with Nkana. “Gor is a good club with good money and it’s only that I’m committed with Nkana. But kuli uyu mwaiche [to this young boy] Situmbeko, he should consider taking up the offer because those people are ready to buy off his contract at Power,” he said. Efforts to get Situmbeko proved futile as his phone went unanswered. But Situmbeko in an interview with supersport.com acknowledged signing a deal with Gor Mahia. “I signed the deal but Power Dynamos have refused to let me go. I agree I was paid my signing on free but I have requested to return it because the issue is going out of hand,” Situmbeko was quoted by Superspoort.com. On Saturday, Gor Mahia secretary secretary George Bwana told Supersport.com that they will report Situmbeko to FIFA for double dealing. Bwana also accused Power of trying to hijack the deal. The club stated that the player was expected in Kenya on December 27. Power secretary Ricky Mafunda rubbished the threat, saying any deal that Gor Mahia were alleging to have signed with Situmbeko should be considered illegal because the proper process was not followed. But Football Association of Zambia (FAZ) executive committee member Jeffrey Chipilingu said he is not aware of Situmbeko signing a contract with Gor Mahia. Chipilingu, who was delegation leader, said Situmbeko belongs to Power. “On behalf of Power and FAZ, I want to state that Situmbeko didn’t sign any contract with any club not even any other of the players that I went with. I was not approached by the club and I am very sure that the coach Patrice Beaumelle is also in the dark,” he said. Power Dynamos have stated that Julius Situmbeko’s move to Kenyan champions Gor Mahia is invalid. The Kitwe club insists Situmbeko has a long-term contract with them and that his move to Gor Mahia is illegal. Power secretary Ricky Mafunda said in an interview in Kitwe on Saturday that they have never received any official correspondence from Gor Mahia regarding Situmbeko. “Whatever transaction they claim happened should be considered illegal because if they were truly genuine then they would have contacted us or better still gone through the Football Association of Zambia,” Mafunda said. Gor Mahia reportedly sealed the deal with Situmbeko earlier this month in Kenya when the midfielder was on Cecafa Cup duty there with Zambia after some eye-catching performances at the tournament. “Situmbeko was on national duty and how can a club claim to have signed him when they did not even approach us?” Mafunda said. Meanwhile, Situmbeko has reported back for pre-season training at Power who regrouped on December 20 at Arthur Davies Stadium in Kitwe. Situmbeko joined Power this season from Division One South club K-Stars after spending the 2012 season on loan at Konkola Blades. The midfielder has enjoyed good form at Power under coach Tennant Chilumba who took over in late June. Gor secretary general George Bwana told supersport.com that officials from Power Dynamos were trying to hijack the deal and threatened to report the matter to Fifa accusing the player of double signing. “It is sad that people do not respect football rules and I have been getting phone calls from Dynamos officials claiming Situmbeko denied signing any deal and yet everything is on paper,” Bwana told supersport.com. An official from Power Dynamos who only identified himself as the Vice Chairman insisted Situmbeko was not for sale. “As far as I know Situmbeko has a long contract with Power Dynamos and if anything Gor Mahia were supposed to negotiate with us directly,” the official noted. Situmbeko acknowledges he had signed a deal with Gor but added, “I signed the deal but Power Dynamos have refused to let me go. I agree I was paid my signing on fee but I have requested to return it because the issue is going out of hand,” Situmbeko told supersport.com. Former Kenyan Premier League player of the year George ‘’Blackberry Odhiambo is seeking a return to Gor Mahia. Odhiambo in an exclusive interview with supersport.com highlighted the fact that he was ready to return to the KPL under his former club Gor to revive his career which has stagnated in recent years. “Life is about accepting your mistakes and after playing in several places including Europe i have decided to come back home and work harder than before,” Odhiambo told supersport.com. Contacted for comment, Gor chairman Ambrose Rachier who described Odhiambo as talented player but had wise words for him. “We do not forsake our former players but I want Blackberry to be serious and to come down to earth and start afresh I can promise I will give him the chance since it is Gor Mahia that made him who he is,” Rachier told supersport.com. Odhiambo recently returned home from Armenia.He has played in Both Denmark for Randers and Tanzania for Azam. Kenyan Premier League Champions Gor Mahia handed Western Stima a 1-0 beating in a friendly match played on Saturday 28 December. The lone goal was netted on the 65th minute by Paul Odhiambo. Gor were using the match to gauge the quality of their junior players and new signings as they prepare for the start of a new season. The match brought to an end Gor’s trophy tour in Nyanza. The Kenyan Premier League (KPL) champions Gor Mahia will not be gracing the annual Mapinduzi Cup tournament in Zanzibar scheduled to kick off in early January. As confirmed to futaa.com by a source close to the club, the decision was reached in order to grant the playing unit enough resting time after a grueling 2013 season which also saw most players feature for the national team. -We will not be going there for the tournament; the management thought the players would be fatigued by the time the most important games approach. The players will thus have time for themselves in the festive season, the source intimated. Gor Mahia is set to play in the CAF Champions League, the CECAFA Kagame Cup all in 2014 as well as domestic duties which include the Kenyan Premier League, Top 8 Cup and the GOtv Shield. Gor Mahia followers have been asked to remain calm as the club reorganizes for elections following the botched Sunday 15 December polls. The elections failed to take off after it emerged that there weren’t enough voting materials and the club’s vice chairman Mr. Faiz Ochieng has urged all stakeholders at the club to focus on preparing the club for 2014 assignments. He told futaa.com that the elections will be organized in an open and fair manner. -My appeal is to the fans to be calm despite the challenges experienced that made the elections fail to take off. Elections come and go and should not be allowed to tear apart the club and the great project that is Gor Mahia. -The exercise will be held eventually and it will be very open and fair. The people who will get the mandate should know that their first calling is to serve the club, he said. Following the failed exercise, the Football Kenya Federation (FKF) stepped in to declare that the current office stay on for 30 days to redo the process afresh. Former Gor Mahia chairman Fred Mwango has urged the club’s management and all stakeholders to consider pushing the elections further after the botched elections forced a postponement. Mwango termed the recent developments as unfortunate, untimely and unwarranted and called for an indefinitely postponement of the exercise owing to the forthcoming International assignments by the club. -The only way to maintain stability in the club at the moment is to defer the elections indefinitely. We cant face continental matches with a divided house.Having new faces in the club will not guarantee peace. -We are not sure whether by holding the elections shall get people with new ideas to steer the club to prosperity.Why are we in a hurry to hold elections? The former boss insists that the current office has registered tremendous growth within the club and should be left to prepare the team for the continental assignments due next year. 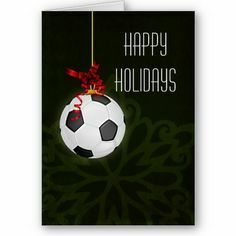 Gormahia.net would like to wish all bloggers, all Gor Mahia supporters and all Kenyans a Merry Christmas and prosperous new year 2014. Baba Travis, Collins, Oduor12, Kassim Mwivangano, Albert Kosero, Jamigori, Pareyio, Michael Odhiambo Ogolo, Jack Omollo, oswozo moziek, Dan Original, Jakoyo, Alego Tat Yien, JB, Ingo, Barefoot Bandit, Macholuong, Papamiky, Fred Odhiambo, Ochigah, Dinga, Walter Alando Bwoga, George Ochoro, Jakoyo, Mwakio, Paw Akuche, wuonpap, Le Pastre, Gem Kendgi, Paul, Abu Kasim, Ja Gor, Voltage, Joe Riaga, Mcosweto, Erico Jarae, Opuk Raronge, Ogango Trailer, P Mawego, Capital G, Oyugi akuot, owino vincent odhiambo, Wuod Warianda, JAPOLO EN SIRKAL, Jasidindi(Jemoh), Ja-Nyajuok No.1, Janam, James Otiende K’Omuoyo, James Lucas Odede Ndagwa, otieno okwiri, Otuol Otuol, Junior Gwer Gwer, Simeon ‘Simplicity ‘ Muga Opiyo, Busta, The Villager, Creative Village, Jasawagongo, arrumtiddi, Odhiambo P Owuor, Pod Antie, Bill Wabz, Eblazing Diva, BERNHARD BINDAR, bachu, Ayub, Awa Midi’anga, ATTENDANT, atonga jr, Arthur okello, Tek K’ondelo., Douglas Otieno, Oluoch, Patrick Nyakundi Mogaka, Caleb Were Musingoson, Benomondi, Chris Obare, Magwer Ber,Okew Okuyu Jakamollo. Joshua Jakano, Blogger, Obishe, wuo Ahero, Wuod Ogola CC, Wuod Nyawino, Waxme, Wamuoso, Okoth Jabilo, Wafula, Waaudi, vincent owino, Vitoo, Vincent Ocampo, tom ochieng okello, Tom Ojole, Tom Atinda, Thiringinyi akuot, Tigo, TCAS 77, Tbwana, Robert, Symon Onyango, Sylvester Okello, Stevo, Spartacus Okello Jamach, sketch oketch, Sir Jerry, simon osok, Sika, Simbiri, Seda james(okuyu), Seth Oriri, samwel asuke, Samuel Oduor, Sammy Ataly, Sam Dola, Salapata Salawowo, Saimz Muiruri, odede JL, odero davy ja kb, Odero philip, odero yusuf – mombasa, Robert Owino aka “NYATIENG’, Pundit, Richard Otieno, Pitz, Piny Owacho, Peter Ouma Ohany, Peter Ptah, oti tall, Oti Oluoch ja Kayole, Othin othin, OT, Oscar Kadenge , Orito Bernard, Osaka, Ondunga Duke, Onguka, Onyango, caleb oluoch, Bosh, Bob Wycliffe, Bob Ogutu, Bob Obingo, Onyango Oduor, Onyango Songi, Onyango Sparki, onyi jaugenya, Omochura, Omoke, omondi, omondiomollo, Omulo Mala, dan matiku, Dan, Dan Collins Obonyo, Omusala, Ondiegi, oliech, Olu, Odinga, feloh ja ndhiwa, Felloze, Felix Odhiambo, felix obi, evans oduor, erico ja msa, Erick Ochieng, Eric O, Eric, Engineer, edward, odipo, oduor Saduma, Ogenda C. Odhiambo, Clif Patrick Ouda, Citizen, chris Omollo, Ogollah Wuod Nyawino, ojera janyawara, Ojole, okebe, Nyarkogalo, nyaruanda calvince, Ja Thur gi ji, Oburu, Ochi McOwino, JAMARANDA, jakowilli, Jakoth, JAKOMALA, jakojera 9, jakoduol ken, jakodera, Jakambare, Jakadinga, Jakabondo, Ochieng derro, ochieng kaLuka, Ochuka, Apuoyo, anthony nganga, anthony kiragu, Andy, ando2031, Amimo Opudo, Allan Audi, GORBIDDER, Gor Player, jakababa, JAHAKOREMO, Jadala kaluo, Jagem Achiel Kende, Jackowili, JACKO, Jack Okello, gor damu ya zamani, Gor Damu, godfrey opiyo, Godwins odhiambo, Godfrey Oluoch, Godfrey Ochieng, Alfred Onyango, Eblazing, Duncan, Donald Obunga, Jack Advisor, jack, Jacala, jabez, joshu, Jopiny, Jonweezy okoth, jones mike, Jon, johnny ja koks, John Osura, john ocholah, jabes odhiambo, JaBahrelghazal, ja ugenya, Ja tok kodera, Don Dan, DIDMUS, Dennis, deno, deo, fred otieno, godfrey, Gillygini Jakadinda, Isaac Ouma Semo, ISAAC BABU, Isaac, Ignatius Alingo, Ignatius, Iganatius Otieno, homologouschromosomes, Hilary, hesbon, Henry Ogoye, Gilbert Otieno, Gilberto Jasiaya Omondi, Gideon Okumu, gideon kipkoech, gerry, Gerald, Georges, georgemondeng, fred Odhiambo, Francis Njeru, Fernando Chiluvane, JARUSINGA, jarongo, Jarieko, jareru, Jared Nyanjom, Jarabuon, Gaucho mwenyewe, Ganda, Gach, G. Oduor, Fred Wuod Ahero, Fred Tambo, Fred Owino, george kiema, George Got, bungoma, george binge, John Kauma(Ja Olodo-Kanyada)., John Harun Ochieng, joggy, Joe. O Iro, J’obere, jerry juma, Jawanyama, Ja-Uriri, George, Geophrey Owango, Genge Oti, Hanningtone Onyango, Half Life, Governor Awendo, Ja Suba, Ja Oyugis, Ja ngere, ja gor, isaiah mboya, j.kenyatta, jakowilli, Jakoth, JAKOMALA, jakojera 9, jakoduol ken, jakodera, Jakambare, Jakadinga, Jakabondo……………………………………………………………..
And all the other bloggers. 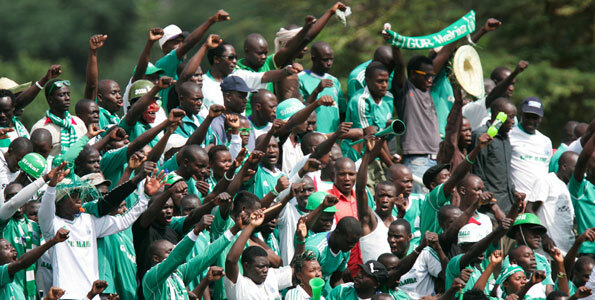 Let us continue to support Gor Mahia in 2014. Kenyan Premier League (KPL) champions Gor Mahia have boosted their strike-force with the addition of Jared Obwoge from Chemelil Sugar. striker signed a two year deal, joining Kevin Oluoch and Joseph Kariuki who were signed from Western Stima and Karuturi respectively. Gor secretary general George Bwana was only delighted to discuss the club’s new acquisition, who is expected to add depth ahead of what should be a gruelling campaign for K’Ogalo with the CAF Champions League also in the picture. “We are glad Obwoge who is a talented player has joined us,” Bwana told SuperSport. Gor Mahia had earlier tried to sign Obwoge during the 2013 mid-season transfer period. He scored 5 goals during the 2013 Kenya Premier league season. Former Gor Mahia chairman Fred Mwango has condemned the recent incident that culminated with the aborted club elections at the Nyayo Stadium. The former Gor boss termed the ugly incident that forced Police to lob several tear gas canisters as unfortunate, untimely and unwarranted. Mwango has subsequently called upon the top hierarchy led by club patron Raila Odinga to consider postponing or deferring the election exercise indefinitely owing to the forthcoming International assignments. “The only way to maintain stability in the club at the moment is to defer the elections indefinitely. We can’t face continental matches with a divided house. Having new faces in the club will not guarantee peace. We are not sure whether we will get people with new ideas to steer the club to prosperity through the polls. Why are we in a hurry to hold elections? he wondered. He lauded Football Kenya Federation (FKF) for intervening adding that it could have been a disaster if the federation could have ordered for a caretaker committee. The former Gor boss felt the 30 days ordered by the federation to hold election will impact negatively on the club since it will not bring guarantee stability.